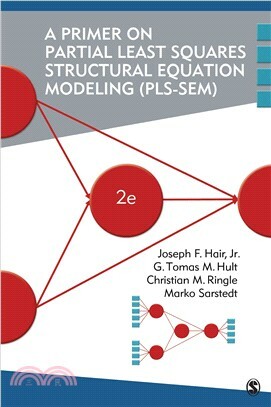 A Primer on Partial Least Squares Structural Equation Modeling (PLS-SEM), Second Edition is a practical and concise guide on understanding Partial Least Squares (PLS) Structural Equation Modeling (SEM). The authors, Joseph F. Hair, Jr., G. Tomas M. Hult, Christian Ringle, and Marko Sarstedt explain the statistical modeling technique and the fundamental aspects of the methods in a straightforward manner that is accessible to individuals with limited statistical and mathematical training. They clarify the nature and role of PLS-SEM in social sciences research that allows researchers to pursue research in new and different ways. In order to facilitate learning, a single case study has been used throughout the book. Changes in the 2nd edition include an overview of the latest research on composite-based modeling, more coverage of the distinction between PLS-SEM and CB-SEM, introduction of a new criterion for discrimination validity assessment, revision and extension of the chapter on mediation, extended description of moderation, and a brief introduction to some more advanced techniques. In addition, it has been thoroughly updated throughout.